Thrifty Texan: 3 Inserts this Sunday!! There will be 3 inserts in this Sunday's paper. 1 SmartSource, 1 RedPlum and 1 Proctor & Gamble! Yay!! 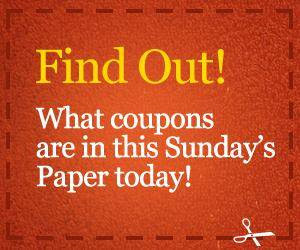 Go here to see the complete list of coupons. 35¢/1 Eckrich Smoked Sausage - great for tripling! Remember, not all regions get the same coupons, or the same dollar value of coupons.